Traci Marques is the Executive Director/CEO of the Pikes Peak Workforce Center, the American Job Center serving El Paso and Teller counties. In this capacity, she leads the Workforce Center in its mission to connect vital businesses with work-ready job seekers and employer-driven services. She provides leadership, direction and oversight and is responsible for long-range planning, development, direction, implementation and evaluation of programs supporting regional workforce development. She previously served as Deputy Director and prior to that served as Customer Service and Community Outreach Director, and as the Business Relations Group Team Lead. She serves as co-chair of the Military, Veterans and Spouses Coalition representing more than 25 community organizations with resources focused on helping transitioning service members, veterans and military spouses find meaningful employment. For these efforts, Ms. Marques has been recognized for excellence by the Colorado Department of Labor and Employment for contributions to improvement and modernization of veteran’s services. 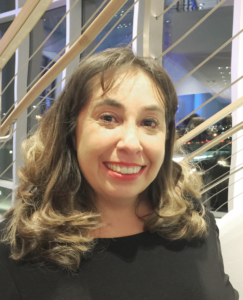 Ms. Marques completed The Grantsmanship Center’s Basic Grantsmanship and Social Enterprise Courses, the Center for Creative Leadership’s Community Leadership Program, and the Leadership Pikes Peak Signature Program. She earned her Bachelor of Arts degree in Telecommunications Management from Indiana University, Bloomington, College of Arts and Sciences. Tiffany Clark-Trujillo serves as the Customer Service Manager. Prior to joining the Workforce Center in September of 2014 as a Workforce Development Specialist, Tiffany served as the Program Manager, Volunteer Liaison and the Administrative Assistant for the Supervised Exchange Parenting Time (SEPT) program at CASA of the Pikes Peak Region. Tiffany earned her Bachelor’s degree in Human and Social Services Administration from Bellevue University. Tiffany is passionate about helping people to get where they want to go; while also assisting them in becoming more resourceful. Her responsibilities include oversight of the Career Center, Educational Services, Volunteer Services, and Satellite Offices. For 25 years, Laurie Jervay has served the Pikes Peak Workforce Center as Finance Manager, and prior to that as Budget and Financial Analyst. As Finance Manager, she manages and oversees a $7-million budget, ensuring federal and state dollars are spent appropriately according to the parameters of 20 grants per year, including the Workforce Innovation and Opportunity Act and the Wagner-Peyser grant. In addition, Laurie prepares the annual budget projections; presents the current financial status to the Executive Board of Directors; supervises and trains employees regarding fiscal policies, procedures, compliance, and acceptable accounting principles; and she monitors and maintains adequate levels of cash balances and forecasts cash requirements, according to state guidelines. Laurie has a Bachelor of Science in Accounting from Regis University. Jennifer Pierceall Herman is the Industry Relations Manager at the Pikes Peak Workforce Center. 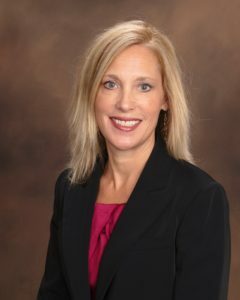 Before coming to the PPWFC, Jennifer held several leadership positions in higher education and community non-profits. She worked in career counseling, academic advising, and other student services for many years at both Pikes Peak Community College and Pueblo Community College. She was the Director and Dean of the Fremont Campus (in Canon City) for Pueblo Community College for close to 10 years, where she also served on the Workforce Investment Board for the Canon City Workforce Center and the Upper Arkansas Region; and served on the Fremont Economic Development Council. Next, Jennifer worked in non-profit management as the CEO for the Boys & Girls Club of Fremont County. She also previously worked in the communication industry as a journalist for the Jamestown Sun (ND) and the Centralia Sentinel (IL). 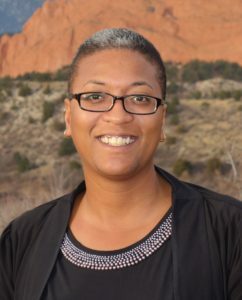 She holds a Bachelor’s degree in Journalism from the University of Illinois; a Master’s Degree in Counseling from Minnesota State University-Moorhead; and has completed Ph.D. coursework in Leadership, Research & Policy at UCCS. Jennifer is also a graduate of the Colorado Community College System Academy of Leaders; the Academic Management Institute; and the Colorado Community Resource Center (CRC) Non-Profit Leadership and Management Institute. Debbie Shackelford is the Programs Manager. In this role, Ms. Shackelford is responsible for managing adult and young adult programs with a team of dedicated Career Coaches that provide high quality services for job seekers with career exploration and guidance, continued support for educational attainment, opportunities for skills training in in-demand industries and occupations, and culminating with a good job along a career pathway or enrollment in post-secondary education. She previously led the PPWFC young adult services team and teams in the banking industry and has extensive experience in leadership and business coaching. She is a trained facilitator with certifications from The Center for Work Ethic Development and in the aha! Process: Getting Ahead While Getting Out. She is a recipient of the Accolades Award: Business Leader of the Year from the Southern Colorado Women’s Chamber of Commerce. Becca Tonn is the Communications Manager at the Pikes Peak Workforce Center, where she joined the organization in 2017. She has more than 12 years of experience in the communications and public relations industries. 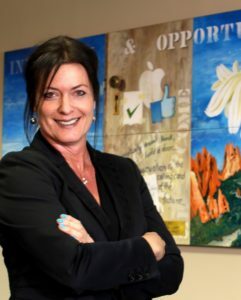 She began her writing career with the Fort Carson Mountaineer newspaper, then transitioned to the Colorado Springs Business Journal as the Banking & Finance Reporter for five years. Becca enjoyed being a Communications Consultant and writing, editing, and marketing for a couple of years--before returning to the corporate world in 2013, when she worked for a public relations agency, and then returned to the Business Journal as Associate Editor. From there, she went on to become Director of Public Relations at a busy advertising agency for four years before being hired by PPWFC. An enthusiastic communicator and editor, she has produced many freelance projects over the years and edited several full-length manuscripts. She has a Bachelor of Arts in English from the University of Colorado at Colorado Springs. Becca has served on the Business Department Advisory Board of Pikes Peak Community College since 2010, and joined the Karen Possehl Women’s Endowment mentorship committee in 2018. The functions of the Consortium Executive Board include responsibility for administrative matters, management and supervisory control over the Executive Director and his or her staff, nominations to the El Paso/Teller Counties Workforce Development Board (WDB) and to the Consortium, approval of plans and contracts developed in conjunction with the WDB, and audit compliance. Our Mission: To proactively lead a business-driven workforce system that prepares our citizens for the jobs of today and tomorrow. Our Vision: To make sure every local business has access to a skilled workforce and every citizen has access to meaningful employment, resulting in regional economic vitality. Our Values: Cooperation, transparency, relevancy and providing timely solutions to workforce issues and opportunities. JPM Prototype & Manufacturing, Inc.
To view the Workforce Development Board meeting minutes, click on links below.